It’s tempting to dream of a beach escape in the dead of winter, but if you’ve got a trip coming up before the first week of June, you might want to consider exploring the otherworldly Scandinavian destinations of Sweden, Norway or Denmark. 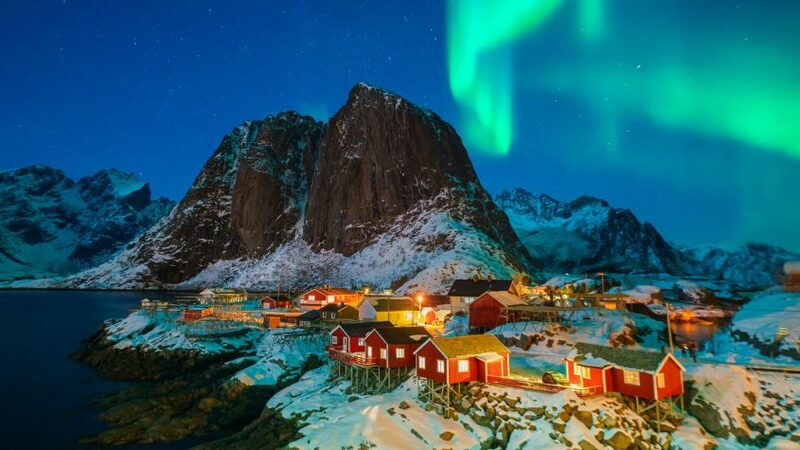 Each was listed on Forbes’ top ten happiest countries of 2018 and they all have some breathtaking sights to see — from the northern lights (if you head there soon) to the glacial blue waters and thrilling cliffs of Preikestolen, Norway. Moreover, these Scandinavian countries are currently among the cheapest places to travel in the entire world, thanks to Norwegian Airlines. As part of a 72-hour flash sale by Norwegian Airlines, flights to cities like Bergen, Norway; Copenhagen, Denmark; Oslo, Norway; and Stockholm are as low as $95 for a single adult — and none go over $200. Round-trip flights are also available for less than $300, depending on your departing city. For example, you can purchase a seven-day round-trip ticket from New York to Copenhagen for a total of $298 — taxes and other excess fees included. You also have the option of departing from airports in San Francisco and Los Angeles. The same seven-day trip to Copenhagen from Los Angeles will cost you about $60 more at $358. Although the sale is active until March 6, you can schedule your trip anytime between March 31 and June 8. However, this offer does not apply to weekends or public holidays. For a trip to Stockholm, it’s better to do it now than later. With the current sale, you can book a seven-day trip to the city from San Francisco for $338 with taxes included. But apart from the flash sale, tickets to Stockholm are usually 26 percent less expensive at the beginning of the year than in June. And once you’re there, you’re looking at spending an average of $167 a day. But that might not be too bad, considering the many things to do in the city. For example, you can take a tour of Stockholm Old Town, which is the oldest part of Stockholm. According to TripAdvisor, it is the No. 2 most popular attraction for tourists, with 62 percent of travelers rating the experience “excellent.” You might also take a stroll on the gorgeous island of Djurgårde. But if you’re more interested in a trip to Bergen instead, you can see the Norwegian fjords, visit the Bryggen wharf or take a trip to Mt. Fløyen or Mt. Ulriken. And in Oslo, you can see Jotunheimen National Park, the Oslo Fjord and the Opera House in Bjørvika. But no matter which city you are considering for a trip, any of these flight deals will make it worth your while. Click through to read more about the cheapest times of the year to fly to Europe.